After we got our hands on the limited DOOM headset built by Thrustmaster, the moment is finally here: DOOM has hit the stores and we finally have the chance to see the next installment in the franchise after twelve years. While the series is going through a reboot, this modernized fresh start of DOOM certainly got us craving for blood and gore, with a hefty side dish of explosive action. Open the gates to hell once more, we’ve stocked up on weapons to bring down the reaper himself. As always DOOM doesn’t bother with a too complicated storyline, and thus it’s pretty much like all its predecessors where you find yourself on Mars, as a part of the UAC, the Union Aerospace Corporation. The UAC has been doing tests on beings that come from the depths of hell itself, supposedly to benefit mankind. Sadly, there’s always that one employee that’s untrustworthy and she thought it would be a good plan to leave the gates to hell open, allowing the menace to spread on the surface of Mars, and in time the entire world. You wake up in the middle of the chaos and jump right in the saddle and start shooting the vile monsters to pieces. Overall the story is simple and to the point, and in many ways pretty much the same as the previous renditions of DOOM. Of course, during the campaign mode you’ll get snippets of information of what transpired, but all in all, this game doesn’t require a lengthy plot in order to prove its worth. Even in its brand new jacket DOOM still very much feels like the good old DOOM we’ve come to love and hate. While the appearance is very much like a brushed up version of DOOM 3, the way things move looks as if it’s based on the earlier installments. Nonetheless, everything looks crisp, a tad less scary than its predecessor, and in many ways realistic. The gritty red glow on many things is probably a reference to the fact the game plays itself out on mars, but it also sets a certain kind of atmosphere, due to the deserts outside and the synthetic lighting on the inside. Gore is, and has always been, a big part of DOOM. This installment does take things up a notch, especially thanks to the gritty ‘glory kill’ mechanism, which is a glorified name for finishing off a dazed enemy. Blood splatters, severed limbs and crushed skulls are common sight during your playthrough, perhaps even so much that it becomes quite a ‘normal’ sight the more you reach the end of the campaign mode. DOOM’s harder soundtrack simply suits the game perfectly. Even in the older games the soundtrack was always sublime, and this time it’s no different. Right off the bat you’ll be treated to some hard rock/metal tunes, which go hand in hand with the gore-ish action that plays itself out on your television. Of course, the sounds of gushing blood, bones cracking and authentic sounds from weapons which are identical of those from the earlier games all make for a wonderful bloody orchestra of death. 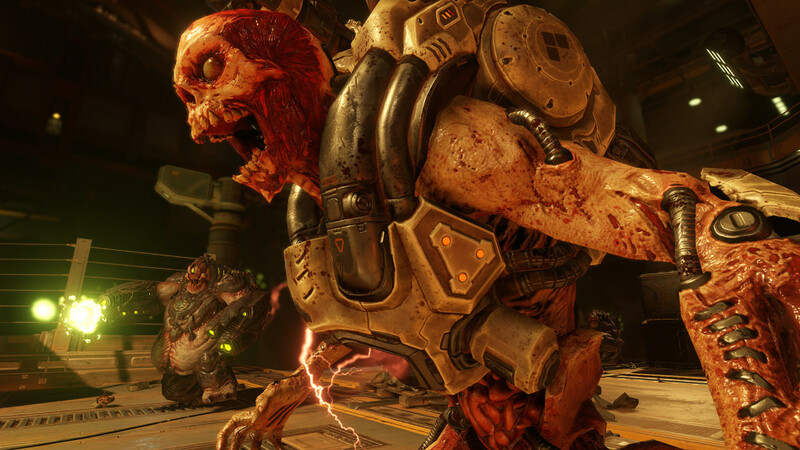 As expected DOOM is still a First-person shooter, and thus you’ll be running around killing whatever hell throws as you (literally). While the game offers online multiplayer features, you’ll quickly notice that the single player campaign is where the meat of the game is at. Nonetheless, the other modes have their own quirks and additions to the game that might prove to be entertaining, if you can look over certain faults, that is. The campaign mode of DOOM is, in our humble opinion, where the party is at. You’ll be treated to around a dozen missions, each lasting around an hour, making sure you have sufficient content to plow through. While there are basic puzzles present, and lots of items and collectibles to be found, it’s all about blowing the monsters from hell to smithereens. Not only will you get a decent amount of weapons at your disposal, it’s also fun to mess around with the ‘glory kills’ to see what finishing moves the game has in store for you. Like many games nowadays in this genre, DOOM will offer you a decent amount of upgrades within the campaign. You’ll be able to upgrade your weapons, choose which alternative attack your weapons get and there are also armor and passive upgrades, which should make the road to pushing back the hordes of demons a bit easier, perhaps even bearable, depending on the difficulty setting of your choice. Overall the system is rather simple and also relies heavily on finding these upgrades within the different areas, which should motivate you to explore a bit further. Nonetheless, the game is also playable without all of the upgrades, if you’re more a run and gun kind of guy. Even though the controls of the game are quite straightforward and smooth, they lack the precision of other popular shooters. That being said, the game handles a bit like the old Unreal Tournament or Quake III Arena, which is a perfect control scheme for a game such as this. You might miss precision from time to time, but with enough enemies in your face, you’ll have no time to worry about small things anyway. 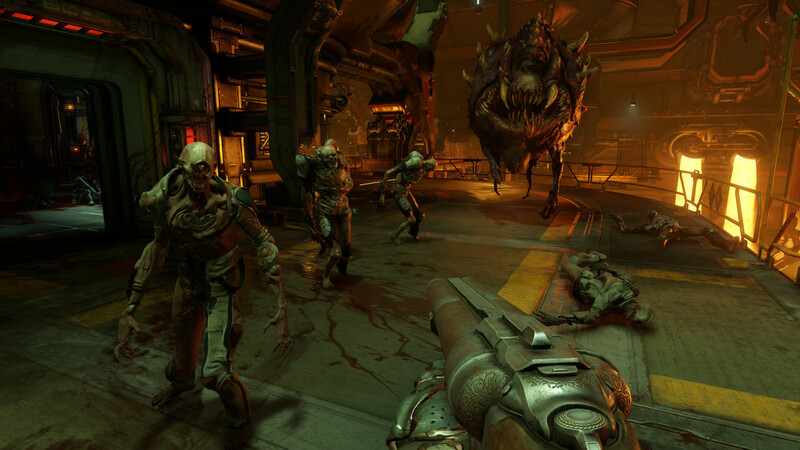 As expected DOOM also packs a multiplayer mode, which is pretty much the same as many other shooters, albeit with slightly altered versions of the different modes. In reality most of the available modes are just variations of the Team Deathmatch mode, and thus, you’ll probably be able to spend some time online, even if it’s a step back from the campaign mode. While the different options are certainly ‘amusing’, they immediately feel like a standardized version for every shooter on the market nowadays. You’ll even be limited to only two weapons per ‘loadout’ and this is actually something that immediately hampers the fun. This game could have benefited from a multiplayer mode along the lines of Unreal Tournament or Quake III Arena, but for some reason it tried to mimic Call of Duty. A sad choice indeed. 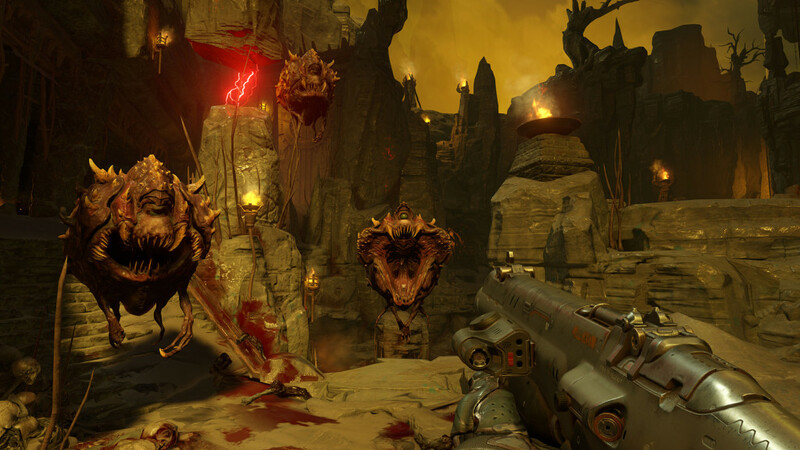 DOOM does add a quirk to the mix that is getting a lot more common nowadays, namely the ‘snapmap’ feature, in which you’ll be able to create your very own DOOM content and play the maps created by other players. While arguably this will never be the reason you’ll purchase this splatter-fest of a title, it adds fun content to the mix. Of course, there will be a lot of player generated content that’s appalling, yet there are a lot of decent and amusing maps to explore. If you’re looking to extend the gameplay value of this title, be sure to give this mode a whirl. 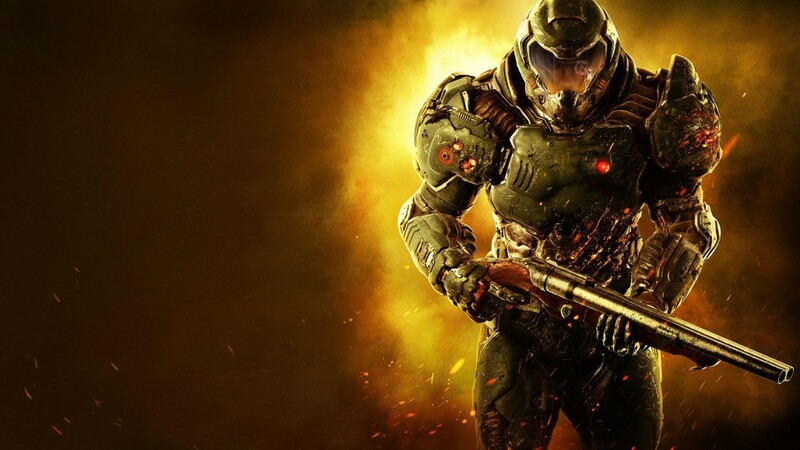 DOOM is a great new start for the franchise and while the multiplayer features might not blow you away, it’s the campaign that’s simply thrilling. 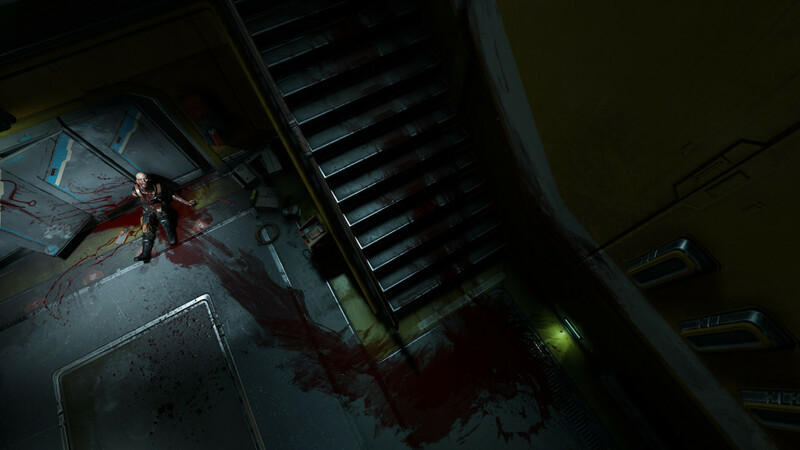 You’ll get to plow through more than enough content, all while being treated to a gore-fest that is not only a graphical feast, it also brings an authentic DOOM atmosphere with it. Arcade controls, an endless supply of monsters and enough blood to bathe in for months to come, we couldn’t wish for much more.